Christmas seems to get more out of control every year. 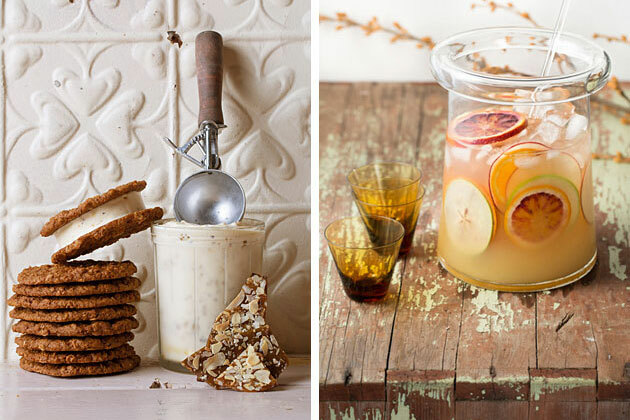 Have you considered adding a few vintage or recycled goodies to your Christmas list? My junk mapping adventures have been so inspiring I thought I’d share a few ideas to get you started. For higher priced items consider sharing the cost between a few family members or friends. One good quality gift may be better than lots of useless novelties that get thrown out after Christmas. Ask about gift vouchers at your favourite vintage store or market. They’re perfect if you’re nervous about choosing a secondhand gift, and offer friends an entertaining treasure hunt after Christmas. 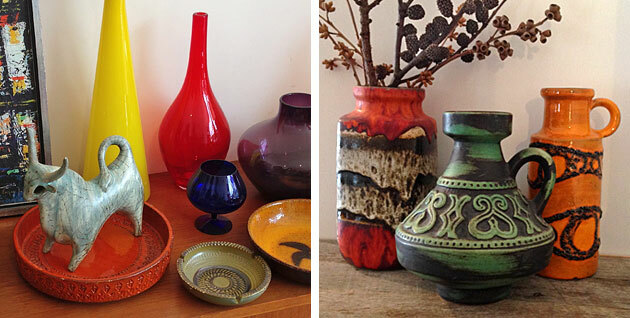 You might be surprised at how beautiful collectable ceramics from the 1950s-70s can be. There are secondhand dealers around Australia selling vintage pieces in immaculate condition including vases, lamp bases and crockery. You’ll also find good pieces on buy/sell sites like Ebay. Remember to check customer feedback and follow your instincts when you buy online. Upcycled products reuse resources in clever ways and often have an interesting back story. They make unusual gifts for people who already have everything. 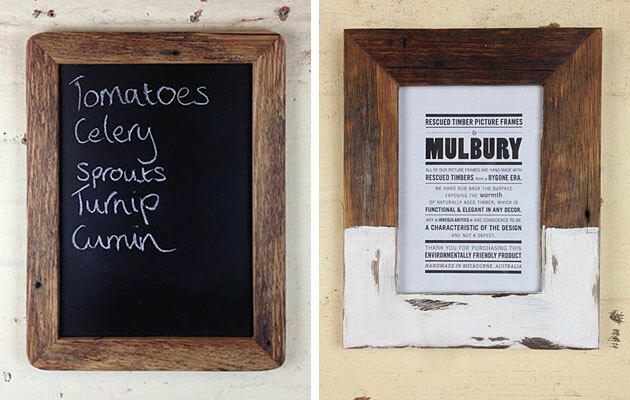 Mulbury – Huge range of recycled timber picture frames. Handmade in Melbourne. Craft classes – Know someone who wants to make things? Perhaps you could help them find a great class. I’ve listed woodworking courses as an example below but you’ll find plenty of options for jewellery making, sewing, ceramics and other crafts. Salvage yard gift vouchers – Buying hardware store vouchers has been around for a while but another alternative for handy types is spending money at your local salvage yard or recycled timber merchant. 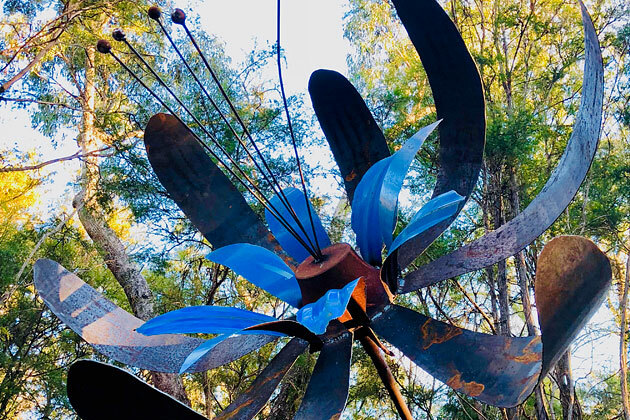 Find local salvage yards here. These take a little time to source but can be quite inexpensive and fun to create. Big vintage markets are a great place to find quirky containers in a range of styles from rustic to retro. Vase and flowers – Buy a pretty vintage glass or ceramic vase and fill it with fresh flowers from your garden or local market. It’s a little more personal than a bunch of flowers from the florist and a great way to say thank you to a close friend. Succulents in recycled containers – Succulents come in so many shapes it’s easy to find a container a friend might like and a plant to suit. Succulents prefer good drainage so use a succulent potting mix (or free draining potting mix plus sand), and a shallow container. 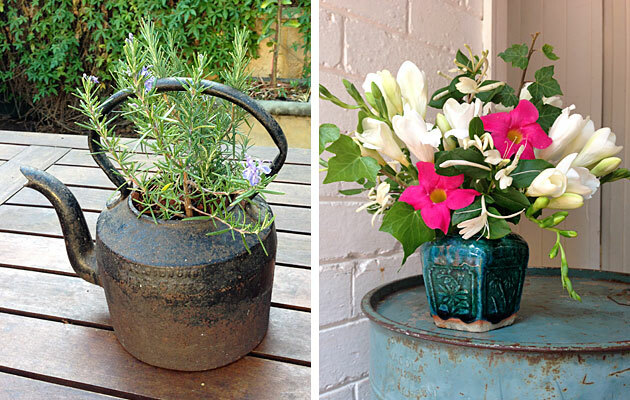 Think of small boxes, tins, old silverware, decorative ceramic cups or bowls, or recycled flowerpots. If your container doesn’t have any drainage it’s probably best to drill a few holes in the bottom. You can use just about anything to plant in but without some drainage succulents can get over watered and die. Herbs in recycled containers – Use the same idea as above and plant up some fresh herbs. Try a bountiful selection of herb seedlings in a vintage box or crate for a larger gift that lasts well beyond summer. You can also find all our Junk Map businesses with online stores here. 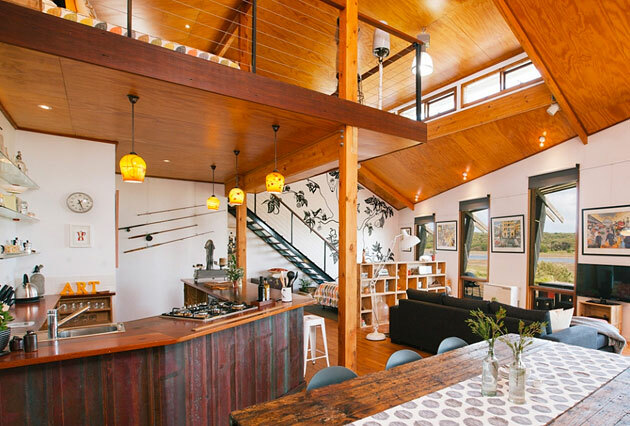 Accommodation – For a more expensive gift spoil someone with a stay in sustainable/vintage-styled accommodation. Check out Saltmarsh in Warrnambool (pic above); Red Brick Barn in Chewton; Vintage House in Daylesford; Orchard Keepers in Red Hill; Bruny Shore in Tasmania. 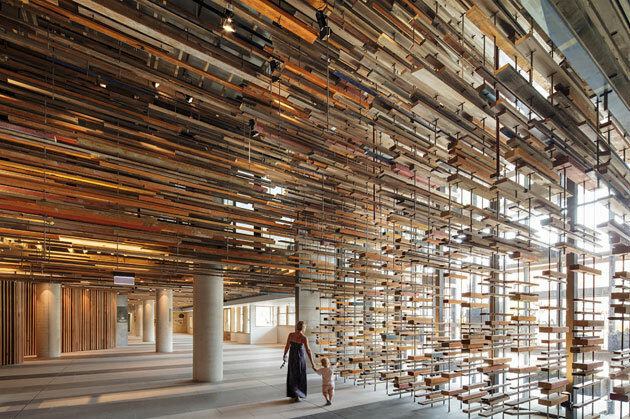 For city breaks try 1888 Hotel in Sydney or Hotel Hotel in Canberra (pic below). If you’re anything like me you’ll find plenty of temptations on your vintage scouting trips. Whatever you choose to do I hope you have a fabulous holiday season and we’ll see you for lots more junk adventures next year! Thank you for a great website. I haven’t found anything yet, but will keep looking, as I’m building a sustainable holiday house on the Mornington Peninsula in Victoria, and would like to have recycled fittings wherever I can. Collecting an assortment of bits and pieces is a lot of fun and I’m sure you’ll find plenty to play with. You might also find some handy tradies in the designers section if you need any help. 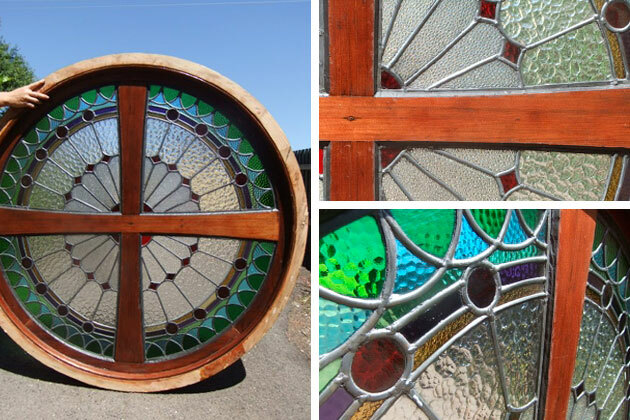 Using recycled is a challenge sometimes but the projects are much more interesting. Enjoy the build!